GRIMM SEASON 4 PREMIERES OCTOBER 26 ON UNIVERSAL CHANNEL - Hello! Welcome to my blog! DARK, DARING AND DANGEROUSLY EXCITING. Get ready for a spine-tingling October with non-stop action and breathtaking thrillers from the hit TV series Grimm. Fantasy drama Grimm returns on Universal Channel just within 48 hours after its US telecast. Inspired by the classic Grimm Brothers’ Fairy Tales, Season 4 will rouse your sensations every step of the way. Be prepared to meet your greatest nightmares as the scariest and strangest creatures dominate the small screen every Sunday night. To jumpstart your favorite fright night, a super Grimm Halloween Night is happening on October 25, Saturday, at URBN Bar & Kitchen. This event is brought to you by Medicol 400. 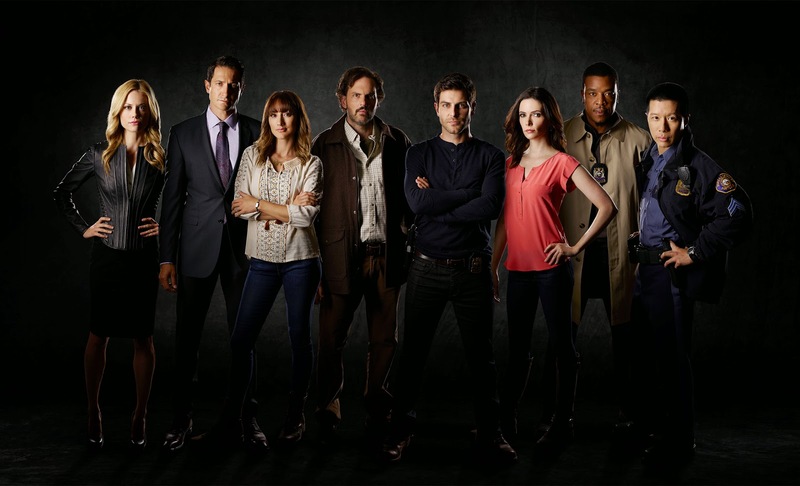 After the events at Monroe (Silas Weir Mitchell) and Rosalee’s (Bree Turner) wedding, Nick (David Giuntoli) is faced with losing his identity as a Grimm. Hank (Russell Hornsby) and Juliette (Bitsie Tulloch) join Nick as they try to figure out how to deal with Trubel (guest star Jacqueline Toboni) as she faces the consequences of a heinous murder she committed. Meanwhile, when Wu (Reggie Lee) arrives at the scene, his discoveries bring back images of his traumatic encounter. A new threat arrives in Portland to steal the memories of its victims, leaving them in a state of dementia. Elsewhere, Captain Renard’s (Sasha Roiz) life hangs in the balance and Adalind (Claire Coffee) falls into Prince Viktor’s (guest star Alexis Denisof) trap as she desperately searches for her baby. Catch Grimm’s new exciting season premiere First on Universal Channel this month. Tune in to Channel 73 on SkyCable, Channels 27 (analog) and 73 (digital) on Destiny Cable, Channel 110 HD on Cignal and Channel 31 on Cablelink.